The globally distributed Akamai Intelligent Platform™ delivers more than 2 trillion Internet interactions and defends against multiple DDoS and cyber attacks each day. 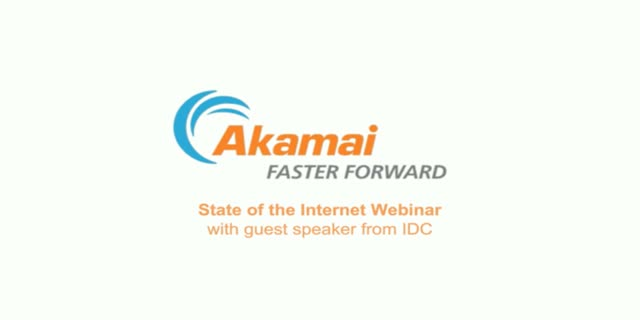 Akamai’s State of the Internet reports leverage this data to share an informed view into online connectivity, cyber security trends and metrics, including Internet connection speeds, broadband adoption, mobile usage, outages, cyber attacks, and web security threats. Akamai sees more than 2 trillion Internet interactions every day and mitigates 40 – 50 DDoS attacks every month. Our security experts analyse this information and share trends, observations, and findings in the quarterly State of the Internet Security report. Join Jay Coley, Senior Director, Enterprise Security Architecture at Akamai Technologies for an overview of what we found after analysing data from Q3 of 2016. Mobile applications are one of the primary channels of user engagement today. Business who deliver great user experiences are laser focused on three things: the features a user wants, the user interface, and high performance applications. So, why has enterprise mobile app development historically focused only on creating a quick functional experience leaving “quality” performance as a problem to solve later? This Forrester report “Building High-Performance Mobile Experiences” dives into the problem areas that impede mobile app performance. The report also provides guidance for app developers on how to tackle these challenges and make performance a priority. Akamai Chief Security Officer Andy Ellis discusses the Q2 2016 State of the Internet Security Report and cloud security trends, such as a 129% increase in distributed denial of service (DDoS) attacks, and web application attacks against countries such as Brazil.